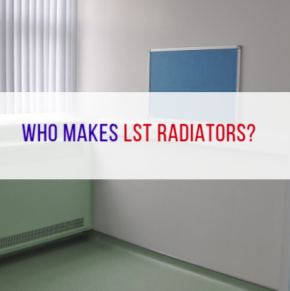 When looking for safer heating solutions, LST radiators are often the first port of call as they offer a strong heat output while maintaining low surface temperatures to protect service users. Contour Heating Products Ltd manufacture LST radiators for the care, health care and education sector, creating expert heating solutions for safer environments. While traditional LST radiators are a successful solution to safe heating problems, they can become dust traps. In hygiene conscious environments such as hospitals or residential care homes, dust build-up can have serious implications for patients with compromised immune systems. Contour’s range of DeepClean LST Radiators is designed to directly combat this issue. The radiators are designed to be faster and easier to clean. Instead of requiring two people and one hour to clean each guard, Contour LST Radiators can be cleaned by one person in just five minutes; making for a swifter process of maintaining hygiene standards and preventing dust build up. There is a growing concern in the healthcare sector about antibiotic resistance and diseases such as MRSA. Studies have shown that at any one time, approximately 9% of hospital patients are suffering from a hospital-acquired infection. As well as creating a distressing situation for patients and families, this can cause hospital stays to be longer which causes bed shortages and greater financial cost to the NHS. To combat this, Contour has partnered up with BioCote® to produce LST radiators that are powder coated with the BioCote® antimicrobial technology. This reduces the risk of infection by 99.5% and has been proven to reduce the presence of MRSA and E. coli in less than two hours. By reducing infection rates in hospitals through the use of BioCote® in our LST radiators, Contour has become part of the solution being developed to deal with harmful bacteria such as MRSA. This can also be beneficial in schools, where absenteeism is one of the biggest challenges for schools to overcome. Controlled tests conducted by BioCote® found that, in spaces where fixtures, such as LST radiators, were protected with their antimicrobial technology, student absenteeism was 20% lower in a classroom than in a classroom with no anti-microbial protection than in a classroom without it. Plus, with Contour’s DeepClean LST radiator range, you can expect cleaner, more cost-effective spaces with the additional protection of BioCote® antimicrobial technology. This allows for more hygienic environments across multiple sectors, improving patient outlook and student attendance.